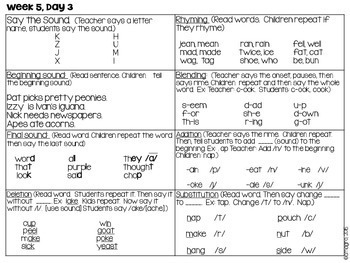 In the same way we have students orally rehearse their stories before writing children need to work with phonemes, or sounds, before attaching letters to them. This is phonemic awareness. 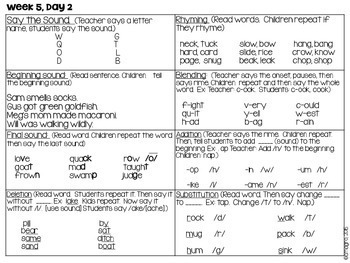 Phonemic awareness is essential for beginning readers and must be systematically taught. 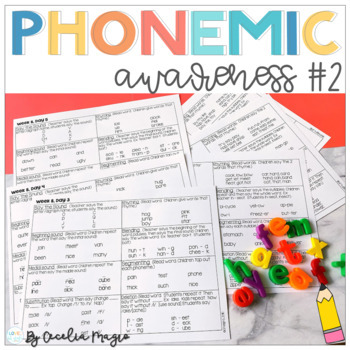 Phonemic awareness is the ability to hear and manipulate individual phonemes, or sounds. All this work can be done in the dark – with no letters attached. 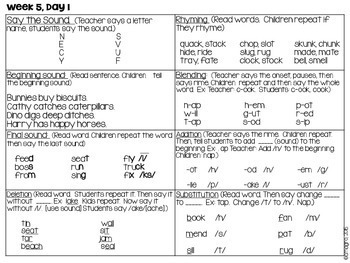 Phonemic awareness is a very good predictor of reading success and it must be explicitly taught. This unit can be used prior to, or in conjunction with, a phonics program. It can also be used as an intervention for struggling readers who have difficulty isolating, blending, segmenting phonemes when reading and/or writing. This is the second unit of 9. It is for the second month of school in kindergarten, first, or second grade and/or as intervention with older students.